Saturday arrived and my spirits were high as one of my favourite days in the shepherding calendar had arrived – the sheep shearer was on his way. It’s always such a relief to have the sheep shorn, both for the sheep and also the shepherd. This year, due to the weather there is a real threat of flystrike. We had already treated all the lambs with a preventative spray, but with the shearer booked, the ewes had not been treated. 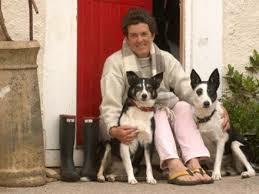 Once the shearer says he can come, you literally say yes, because you never know when you might see him again! The morning saw slight drizzle and I was praying that the sun would shine. Not only did it shine but also the wind picked up and the sheep were dry. You can’t shear wet sheep. We were soon underway and because we had 2 shearers who work fast, we also had to work fast keeping a constant supply of sheep for them and also keeping up with rolling the wool. There is always a lot of good banter as we jostle the team along. It’s also a very noisy occasion as our ewes still have their lambs at foot and baa constantly as there mum disappears for a short time to be shorn. In no time at all the job was complete and everyone was smiling. The sheep sheared well apart from a few older Black Welsh Mountain ewes whose wool hadn’t “risen” well – the term used to describe the wool when it lifts up from the skin, so making it easy for the blades to cut through the wool. 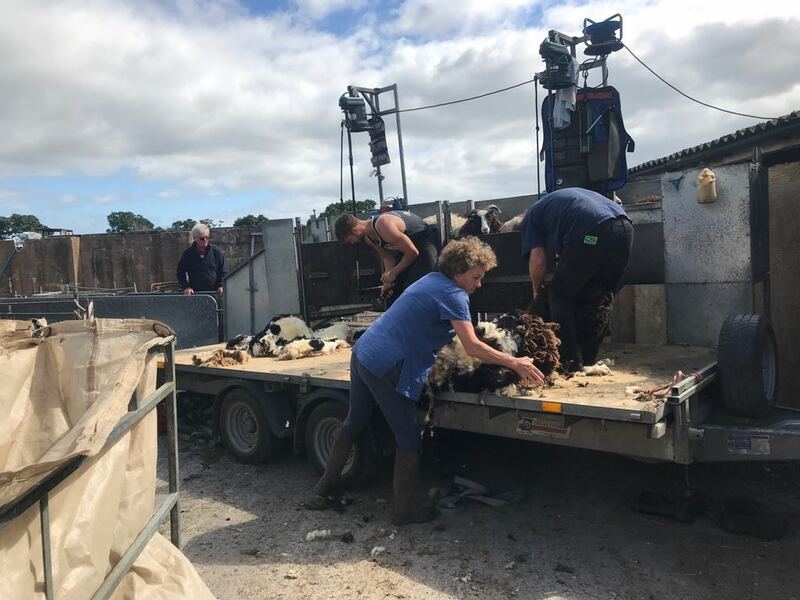 In fact, the shearers did say that in general sheep hadn’t been shearing that well so far this year – the weather is often a factor. PS Thanks to Sarah Palfrey who came in at short notice as we were short of real strength – girl power wins the day!